Karate Kid 2. . Wallpaper and background images in the The Karate Kid club tagged: photo karate kid part 2 daniel larusso kamiko chozen. 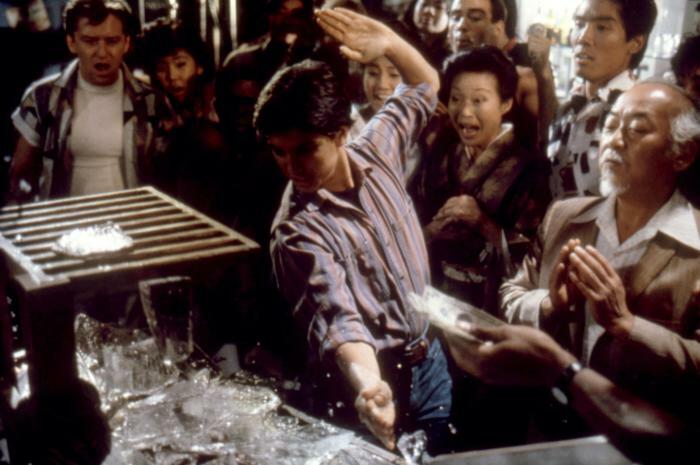 This The Karate Kid photo might contain street, city scene, urban setting, and brasserie.